The nonprofit is lobbying states to adopt what is called the National Popular Vote Interstate Compact. The compact requires a member state to cast its electoral votes for the winner of the national popular vote–regardless of which presidential candidate wins the state. The Tides Foundation, a major funder of left-leaning causes, contributed $25,000 to the popular vote group in 2009. The organization has donated to the ACLU Foundation, the Center for American Progress, Media Matters for America, Sierra Club, Planned Parenthood, among other liberal groups. The George Soros-backed Open Society Foundation has given millions to the Tides Foundation, according to the Capitol Research Center. The Tides Foundation did not respond to The Daily Signal for this story. Koza, chairman of National Popular Vote Inc., is a California businessman who was an inventor of the scratch-off lottery ticket. He then marketed the idea to states–similar to what he’s doing with the popular vote compact. 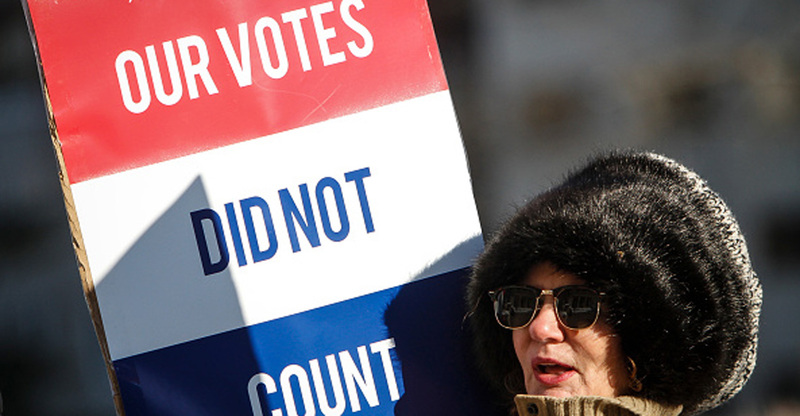 “The National Popular Vote movement has never been a partisan movement. It is a bipartisan coalition of Republicans, Democrats and Independents who believe that every American voter should feel politically valued in every presidential election,” Anuzis said. According to tax filings, the organization’s secretary is Chris Pearson, a Vermont state senator affiliated with the state’s Progressive Party. Pearson is the former director of presidential election reform for Fair Vote, a left-leaning voting rights and good government group. He was an aide to Sanders when the senator was in the House of Representatives. The post EXCLUSIVE: Who’s Bankrolling the National Popular Vote Movement appeared first on The Daily Signal.